It's no secret the number of times we have kicked around the idea of "attitude" versus "appearance" here in Cyrsti's Condo. Your attitude as you begin to explore your femininity in the world in many ways ranks above how you look. My example goes back several years and continues to this day in one of the places I have been stopping at for adult beverages and sports. It's close to a big research air base and normally has it's share of 40 something groups of defense contractor/professional guys. The bar itself is straight (not gay - no I meant the bar shape!) and seats approx 25. Tuesday's are the big 2 dolla pint night. Your choice on any of 30 different drafts-2 dolla, and the place is packed. I learned years ago the thrill of victory or the agony of defeat of having to walk to the other end of the bar for a seat...through primarily men. I went from being flat out laughed at at one end of the spectrum to guys just glazed over. I always wondered what the glazed ones were thinking. Largely now, I'm ignored except I did have two last night who followed my every move until I found a seat. Moral to the story is, I learned to always keep my head up, and shoulders back to keep the human sharks in their place. Come hell or high water I just had to let the world know, I wasn't doing anything wrong. While we are on the subject of attitude. Several posts ago, I re-posted one of my old woman less pageant pictures of "Spencer". Spencer was gorgeous to be sure but his attitude was just as amazing to me. 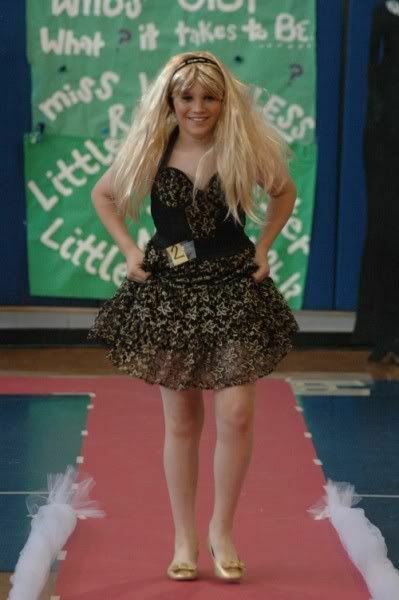 I also think some of these younger woman less pageant contestants first time in drag was that night and two things happened...one, they were impressed on how well the mtf transformation worked and two.- the joke was on everyone else when they saw him.